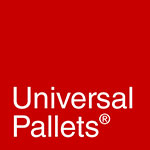 We’re always looking for ways to improve our business at Universal Pallets. That’s why we’re happy to announce our new online pallet collection request page. With an ethos that cares about the planet, we pride ourselves on sustainability. As part of our mission, we’re aiming for a zero to landfill approach, as we work to cut waste by helping you to reduce yours. Alongside this, our core aim is to make ordering as easy as possible for our customers, so a pallet collection request page was an obvious direction. Giving companies a quicker, simpler, and easier way to recycle pallets. We collect pallets from across the country, identifying the best environmentally friendly way to deal with each one. We never send a pallet to the landfill. Instead, each one we collect is either reused, recycled or used for energy recovery. Reusing a pallet is always the first option, to ensure they fulfil their intended purpose. But, if they can’t be re-used, this is when we explore our recycling and energy recovery options. We’ll also manage the entire collection process. Regardless of pallet type, size, or specification, we’ll come and collect yours to help reduce any hassle. It’s important to note that a collection may be chargeable, free of charge, or a rebate may be paid. We’ll be able to confirm this once we identify the best collection option for your pallets. The request process is very straightforward. All you have to do is complete the form below. You’ll need to provide one to three photos, the number of pallets (min. of 10), your postcode, email address, telephone number, and whether you have an FLT/driver on-site. Once submitted, a member of our team will get back to you as soon as possible. We ensure that all our collections are performed both compliantly and responsibly. If you have any further questions, then please feel free to contact us on either 0161 223 4427 or 07776 188974. You can also reach us by email at info@universalpallets.com. By completing the form below, Universal Pallets will begin the collection process for you. To request this service, a minimum volume of 10 pallets must be requested for collection. This field is required and must be a valid email address. If you would like to discuss your needs with us, please use the following contact details or send us a message via the contact form.